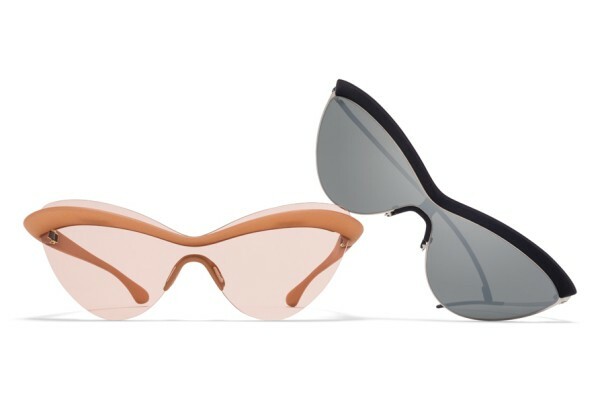 The MYKITA + Maison Margiela ECHO mixes eyewear iconography, fusing a feminine cat-eye shape with a sun visor derived from sports eyewear, to propose a new, contemporary elegance. Oversized yet ultra-lightweight, the models showcase the unique possibilities of the MYLON material and the technology of 3D manufacturing. The combination of archetypal eyewear silhouettes with a progressive composition of material, construction and surface is a present-day echo of past glamour. With a rimless shield that extends beyond the visor-like top line, MYLON model MMECHO001 offers a strong, futuristic take on this vintage shape. MMECHO002 presents a slimmer silhouette in the HYBRID material mix of stainless steel and MYLON. 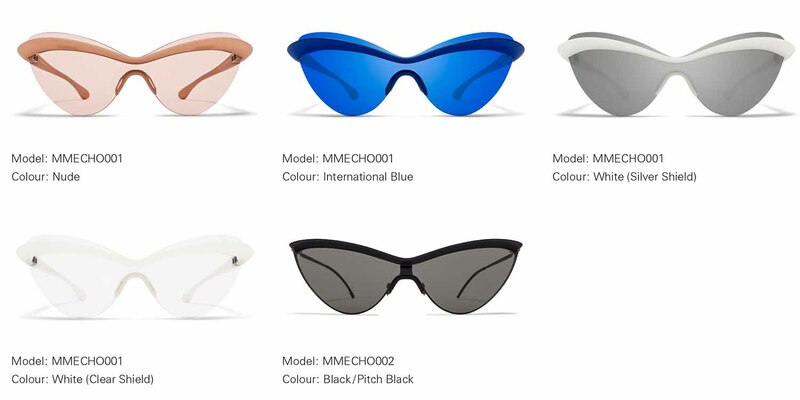 MMECHO001 and MMECHO002 by MYKITA + MAISON MARGIELA arrives to MYKITA Shops and E-Shop, as well as selected opticians and fashion stores from mid-March 2018. 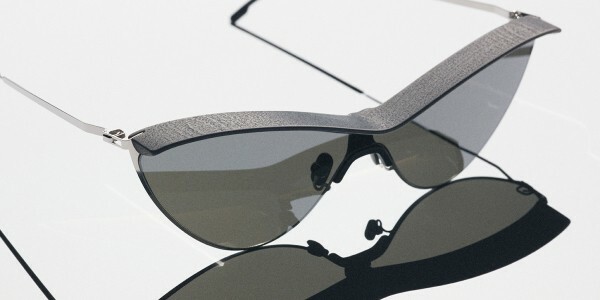 Beginning their collaborative exchange in 2013, MYKITA and Maison Margiela connected over a shared idea of the creative process. MYKITA routinely goes beyond the confines of the eyewear industry setting new standards in design and manufacturing with artful products. Maison Margiela stands for iconoclastic fashion design. Both design houses are known for the reinterpretation of historical forms, a radical experimentation with constructions and an unconventional approach to materials. MYKITA and Maison Margiela are centered on the idea of the creative collective pushing visible logos and conventional luxury codes into the background. The common focus lies in challenging and creating new aesthetic codes. Designs that merge artisanal techniques with high technology reveal a unique focus on material and construction, as well as predilection for elements of illusion and trompe l’oeil. Under the creative direction of British couturier John Galliano, Maison Margiela continues to push the boundaries of modern fashion while celebrating its heritage. 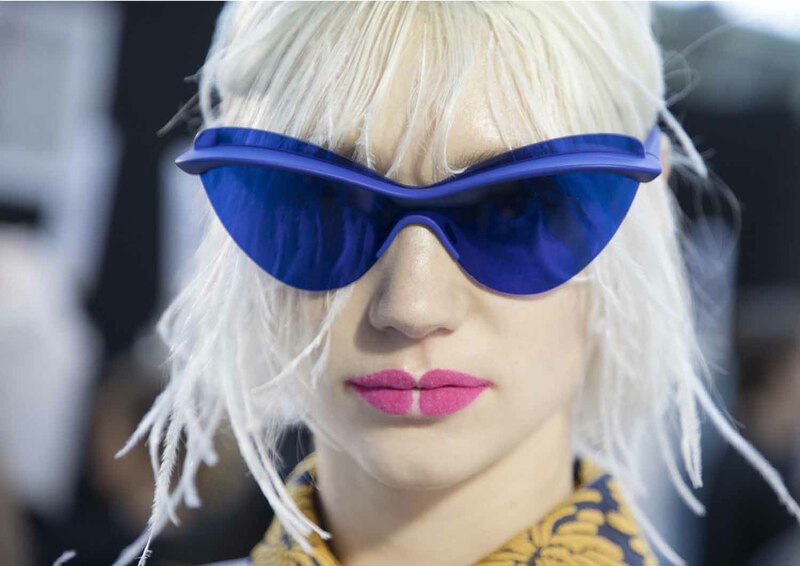 Inspired by Galliano’s proposition of ‘unconscious glamour’ MYKITA introduces striking new eyewear concept, ECHO. Delivering glamour with a futuristic and playful spin, the collection represents a new direction in the ever-evolving MYKITA + MAISON MARGIELA aesthetic, as well as the continuing creative bond between the Parisian fashion house and the modern manufactory in Berlin.